The “role and structure of informal learning in this country has evolved over the past 200 years” (Bell et al., 2009, p. 15). In today’s world, technology and associated advances have distanced people from traditional land-based learning and experiences. As a consequence, individuals today have less opportunity to explore the natural environment and experience all it has to offer. Through a literature search the authors have drawn many conclusions about learning science in informal environments. Two of these conclusions are especially meaningful when it comes to the natural world and education experiences for children. First, “Across the life span, from infancy to late adulthood, individuals learn about the natural world and develop important skills for science learning” (Bell et al., 2009, p. 292). The literature is very clear: it is important for young children to learn about the natural world in which they live. It was found that even infants will notice regularities in the world and then use that awareness to build understandings that help anticipate future natural physical phenomena. The first few years of life are especially important for outdoor education because this is when young children learn a lot about the world around them. For example, young children will notice flowers blooming, the moon changing shapes, the snow melting, and birds flying; they will also learn the names of objects, processes, and animals, which then can be used to engage in learning conversations with an adult. 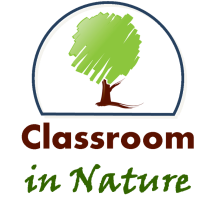 And so, “throughout the school years, children and adolescents, with support, can piece together school-based and informal learning experiences to build scientific understanding of the natural world” (Bell et al., 2009, p. 292). When this occurs in childhood, the drive to understand and explain why natural phenomena occur will continue into adulthood. Bell et al. believe that “A great deal of science learning, often unacknowledged, takes place outside school in informal environments – including everyday activity, designed spaces, and programs – as individuals navigate across a range of social settings” (2009, p. 293). Children, as well as adults, are led to develop knowledge about the natural world and scientific topics when interacting with the natural world. This is usually in conjunction with interactions with family members and community life. Long-term science learning can also be accomplished through social processes, such as mentorships and educational television, along with personal pursuits and hobbies like astronomy clubs and conservation groups. It was found that a specifically designed setting – like museums, science centers, zoos, aquariums, nature centers, and even outdoor classrooms, can support science learning. Observations of real world phenomena help engage the inquiry of the scientific mind, and individuals are able to reflect on their experiences with discussion, all aiding in long-term science learning.